All is set for the first ever International Drinks Festival in Nigeria organized by the Balmoral at the Federal Palace Hotel, Victoria Island, Lagos. 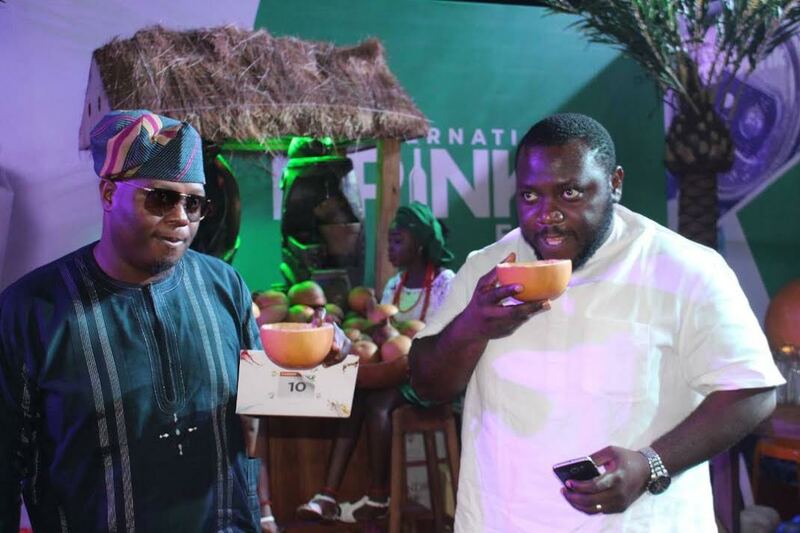 The event is expected to attract over 25000 people to witness the transformation that two friends, Ezekiel Adamu and Akin Eso are bringing to the Nigerian drinks industry, with an estimated value of $40 billion. The festival is expected to be a huge market place where drinks will be sold at prices far less than regular. This is why the organisers chose December, when people tend to buy more drinks for the year end festivities. The three-day event kicks off on December 1 and will run through till December 3. Both men are very familiar with the industry. Akin Eso is the convener of the popular wedding exhibition known as Wed Expo while Adamu is the Chief Executive Officer of the popular Balmoral, known for its cozy venues. The two friends have always had a symbiotic relationship which is now elevated to a new level. With the new working relationship, Balmoral has become a 360 events solution company spearheaded by three executives: Akin Eso who is the Chief Operating Officer, Goke Obembe, an Executive Director and Ezekiel Adamu who still retains his position as the Chief Executive Officer. With their vast resources and knowledge, they are united in their quest to take Balmoral to a greater height. Together, they have brought some outstanding and far-reaching changes to the brand. Some of the changes that are visible include Balmoral Life which is the strategic thinking, marketing and ideas arm; Balmoral Exhibitions, Balmoral venues and Balmoral Hospitality. “We intend to create own events and we will also partner with people to develop their own ideas. Our major concern is to create innovative platforms that are tailor-fit for specific sectors of the economy. The International Drinks Festival is the flagship brand that we are launching. We are going to have several other brands under the Balmoral group next year. What we pride ourselves on now is creating platforms for industries.” says Eso. A major entertainment offering at the festival is the Flair Bartending Show, where the performers will display astonishing bottle juggling skills. An appetizing teaser of things to come at the main event was showcased last August. Having a mini-show four months ahead in itself was a never-before-seen novelty in Nigeria. It was all they needed to convince brands and other participants that the main event was going to be a different experience. However, with so much entertainment surrounding the event, Eso is quick to point out that the festival is more than just having fun.